Sealcoating: a liquid that is applied to asphalt to protect it from oxidation and the damage caused by winter cracking, as well as UV rays and traffic. In areas of the world that experience freezing and thawing, the reapplication time line will likely be sped up. Sealcoating is needed in cold climates, but is useful in warmer climates as well. 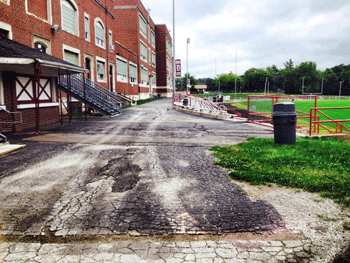 Since asphalt is a petroleum product, other petroleum products will react with the surface. This includes vehicle oil and gasoline. The sealcoat will act as a barrier against those materials. A sealcoat is not a crack filling agent; cracks must be filled or sealed prior to applying the sealcoat. Properly applied, sealcoat can save you huge costs over the life of a hot mix asphalt pavement. 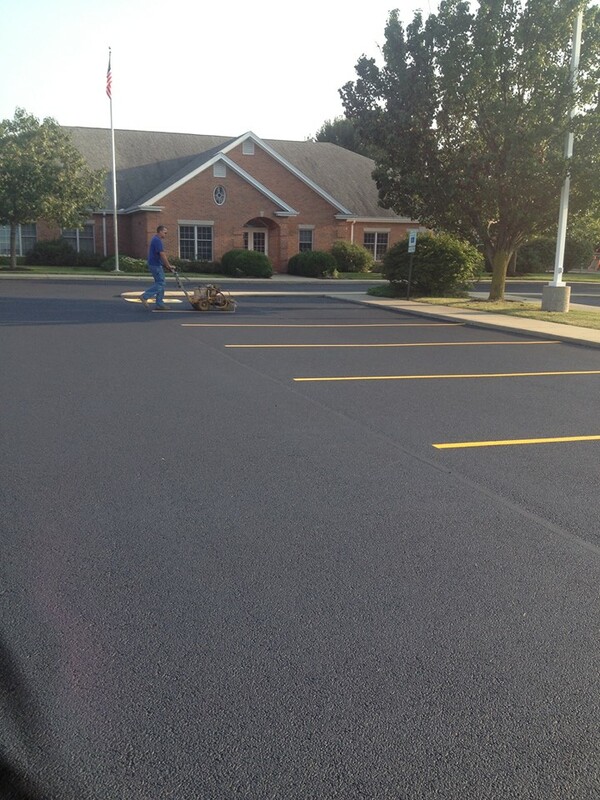 Striping: We can re-stripe or do the initial striping of your parking lot. We do this using a special paint that is resistant to the elements and being run over by tires multiple times. This not only makes your parking lot look better, but it also makes it safer for your customers, employees, etc. as they can park in a more orderly fashion and avoid not only the randomness but it can reduce your liability as well. 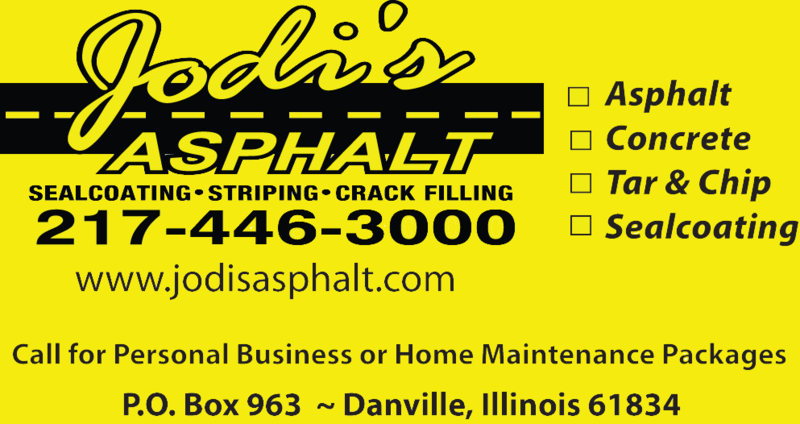 Crack Filling: Asphalt surfaces tend to crack over time. This does not mean you have to replace it. We can fill those cracks and stop the erosion of the surface by water penetration and we always fill the cracks before we seal coat. 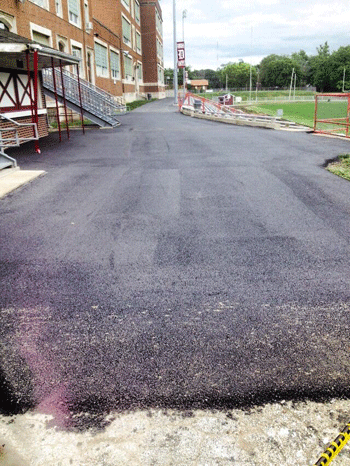 New asphalt: We can build your parking lot or your driveway from scratch. We will make sure to properly prepare the ground that will be under your asphalt so that the lot or driveway will last. This is very important as with almost anything, a poor foundation leads to a poor result. Tar & Chip: if you just need a hard surface but don't really need a full asphalt job we can tar and chip your driveway to make it more serviceable and less likely to be subject to potholes. Thereby reducing maintenance and increasing serviceability. Concrete work: We also can do concrete work should that be more to your needs. Winter maintenance: We can apply liquid deicer to your lot in the winter to reduce the hazards of ice and snow build up. We also plow the snow from lots to make parking and getting into and away from your business safer and more attractive during the winter months.